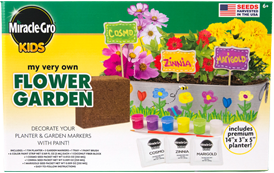 Miracle-Gro Kids is a line of outdoor activities designed to provide hands-on knowledge about gardening while cultivating a love for nature. 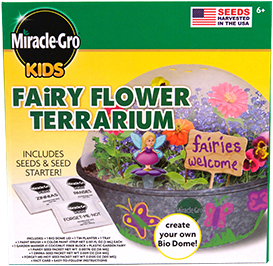 Miracle-Gro Kids products offer your child the perfect foundation to plant and personalize a garden and help to develop a deeper appreciation for nature. Miracle-Gro Kids products instill a sense of pride. 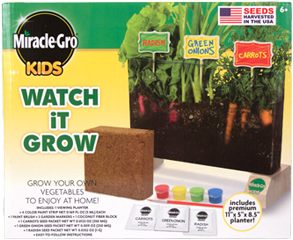 With the Watch It Grow kit, your child will be able to watch their vegetables grow from seed to table. 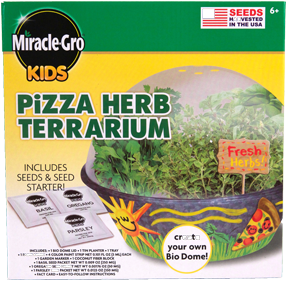 Or they can season their pizza with basil grown in their very own Pizza Herb Terrarium. Your child will be amazed when they see their plants come to life! 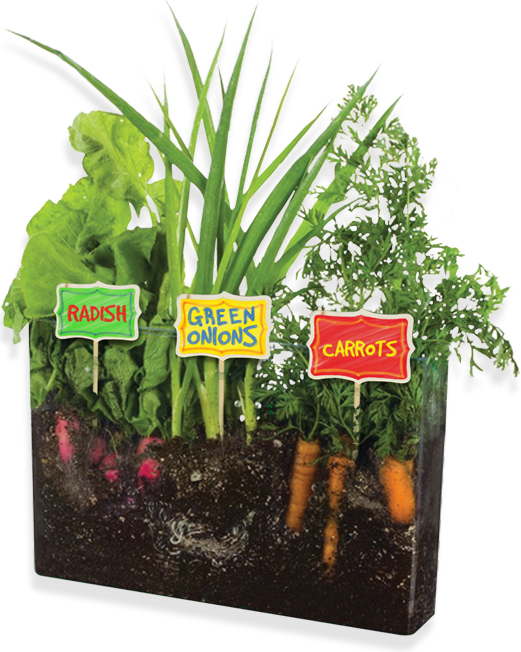 Grow your own vegetables to enjoy at home. Plant the seeds then watch your vegetables grow right before your eyes! 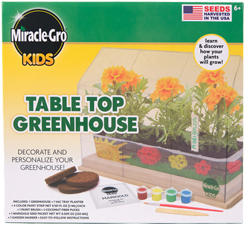 Learn and discover how plants grow with the Table Top Greenhouse. 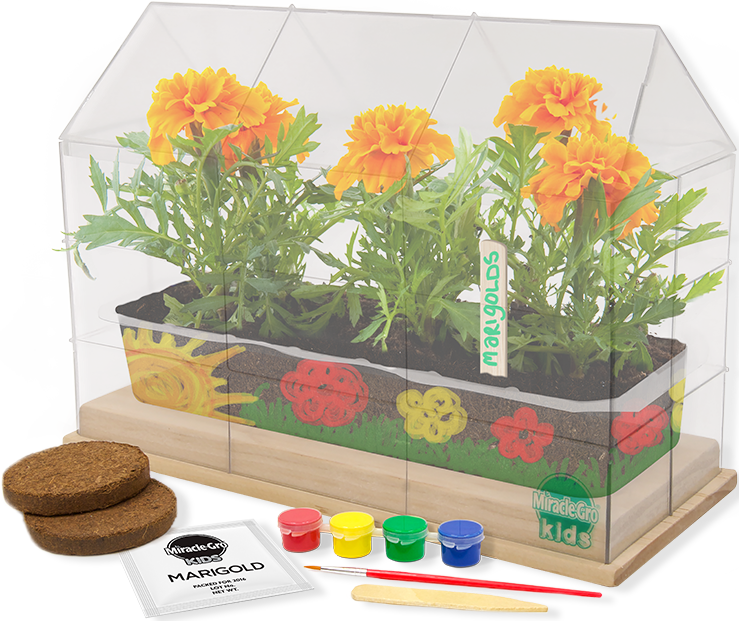 Decorate and personalize your greenhouse, then plant the marigold seeds! 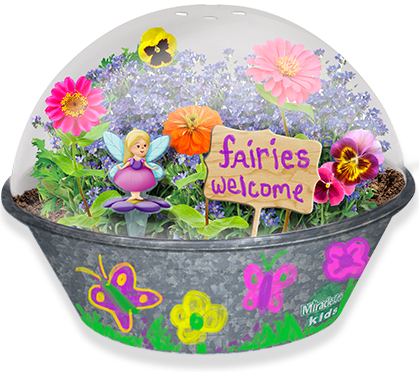 Plant your own flowers and create a gorgeous flower terrarium for your fairy to explore! Three different starter seeds are included for a vibrant variety of colors! 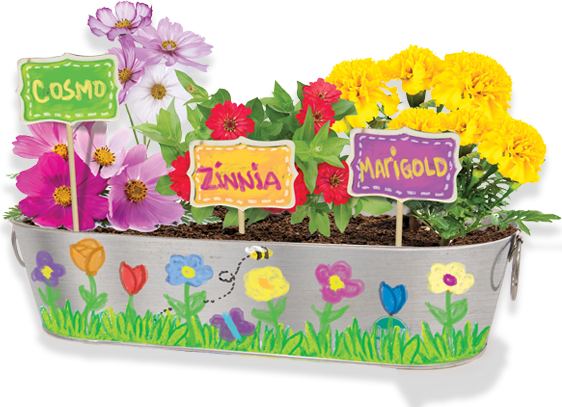 Decorate and personalize a tin planter and garden markers, then plant three different flowers to create a beautiful flower garden! Grow everything you need to add some natural flavor to your favorite pizza! 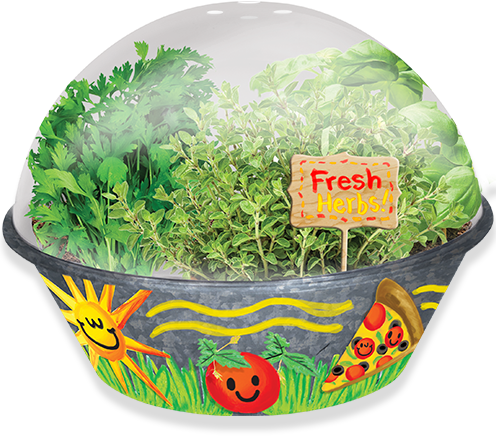 Create your very own miniature bio dome and personalize it with paint!